Molylube Low Temperature Multipurpose Grease, commonly known as Molylube 8626 EP Grease, is a mineral oil-based, aluminium complex grease. It is an all-season grease fortified with extreme pressure and anti-wear additives, molybdenum disulfide, or moly, graphite lubricating solids, and rust and corrosion inhibitors. 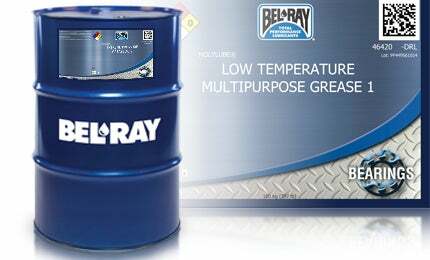 Molylube Low Temperature Multipurpose Grease is available in two grades. The NLGI #1 grade can be dispensed through centralised lubricating systems to temperatures as low as -40°C (-40°F). This characteristic makes Molylube Low Temp Multipurpose Grease very useful for general greasing of draglines and mining shovels at very low temperatures.